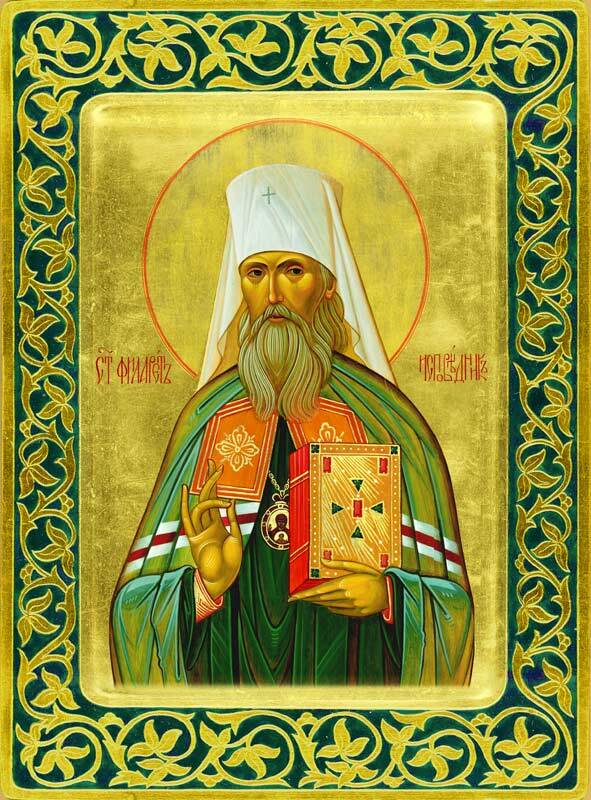 Today many Orthodox Christians around the world commemorate and ask for the intercessions of the Holy Hierarch, St. Philaret of New York, the New Confessor of Orthodoxy. St. Philaret, while on earth, was the First Hierarch of the old Russian Orthodox Church Outside of Russia from 1964 until his repose on Nov. 8th OS (Nov. 21 NS) 1985. Born Georgy Nikolayevich Voznesensky, in Kursk, Russia, March 22, 1930, he had a pious upbringing. His father was the priest, Father Nicholas Voznesensky. Later his father would be tonsured a monk, with the name Dimitri (his father would also be later consecrated a Bishop). St. Philaret was ordained a priest at the age of 29 in 1932 after completing theological studies. 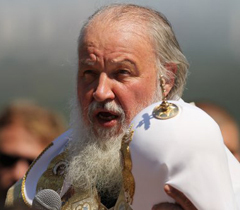 He later was made Archimandrite and served the Russian Orthodox community in Mancuria. With the occupation of Mancuria by Communist forces after the Second World War, attempts were made to convince the Saint to accept Soviet authority and recognize the Moscow Patriarchate. The attempts failed; the Communists then attempted to burn the Blessed Man alive in his monastic cell. He escaped thanks to God’s Grace, and eventually traveled to Australia where most of his flock had fled. He was eventually consecrated bishop in 1963. In 1964, after the death of Met. Anastasius, St. Philaret was elected First Hiearch of the ROCOR. The Synod at that time had at least two saints in it, St. John Maximovith and St. Philaret (if not also the saintly character of the Holy Averky of Jordanville and others, whose lives are worthy of imitation). 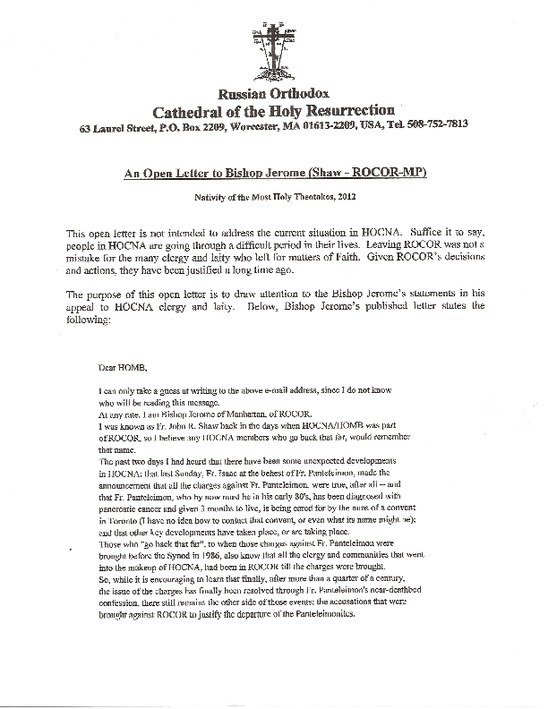 During this period St. Philaret worked to increasingly sharpen the ROCOR stance, response and understanding of the new heresies that were beginning to confront the Orthodox Church. He issued his famous Sorrowful Epistles in response to the false lifting of the anathemas between the Ecumenical Patriarchate and the Vatican. It was during his tenure that he worked to bring about official communion between the True Orthodox Christians of Greece and the ROCOR, which was achieved in 1969 and after. Although the 70s were a very difficult time, as many issues from inside and outside confronted the ROCOR, St. Philaret was not to deviate; it was mainly his own person, with a few others, that kept the ROCOR from falling off the many precipices that were in its path. It was also during his tenure that the New Martyrs of Russia were glorified. With his repose on Nov. 8th on the Church Calendar, in 1985, he finished his earthly combat and entered into the heavenly reward where he intercedes for the Church on earth. His letters and writings constitute an essential for understanding 20th century Orthodoxy.